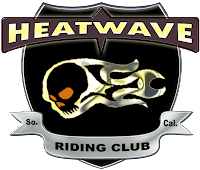 The HeatWave Riding Club is based in Southern California, mostly in the area of Riverside County and San Diego County. Formed in 2007 by a group of friends who had been in other riding clubs, the HeatWave Riding Club puts an emphasis into the club aspect of being a riding club. They hold true to the focus of riding enjoyment, but emphasize the bonds of friendship and brotherhood. Their rides run all over Southern California, enjoying the twisties and sweepers of the local mountains and canyons, and finding the best hangouts for food and drink. They do a few motorcycle camping trips a year, and some overnighters.